Whether you look for it outside on our six miles of trails or inside in our Interpretive Center with its art gallery, gift shop, Discovery Library for kids, and Large Program Room, Nature abounds at Baltimore Woods. Visit us soon! 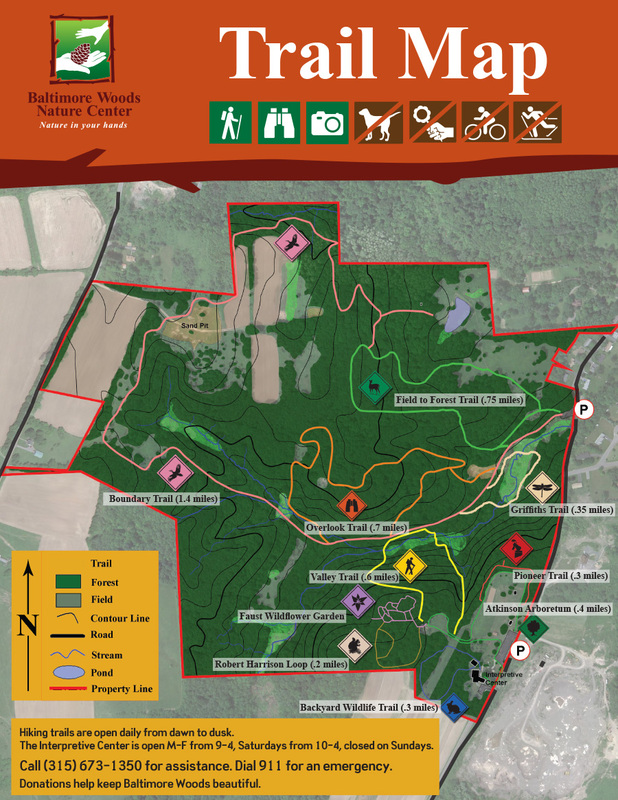 Covering a distance of six miles, the Baltimore Woods site and system of nine trails is open to the public every day. 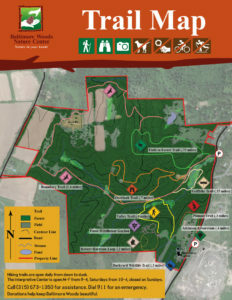 Baltimore Woods site is owned by the Central New York Land Trust, a local land trust who contracts with Baltimore Woods Nature Center for management, utilization, and maintenance of the 182-acre property. Visitors may pick-up trail maps at the Interpretive Center and at the outdoor kiosk. We ask visitors to sign-in at the outdoor kiosks for two reasons: first, for safety, and second, so we can track how many visitors we have each year. This is especially important when it comes to securing funding for Baltimore Woods. The John A. 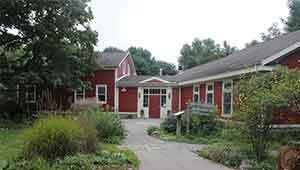 Weeks Interpretive Center is open Monday through Friday from 9am-4pm, Saturdays from 10am-4pm, and closed on Sundays. Visitors will find our Discovery Library for children, the art gallery, large program room for programs and events as well as our gift shop, restrooms and drinking fountain located there. A wide back deck provides a quiet spot to view backyard wildlife. What can you do at Baltimore Woods?